A physical education teacher who should have been modeling health and fitness, Sonya Jones felt like a hypocrite as she neared 300 pounds in 2014. Six months later, she stepped onto the scales (and into the hearts of millions of Americans) to drop a whopping 144 pounds (50.88% of her total body weight) on national television as the only female finalist on Season 16 of NBC's reality TV show, The Biggest Loser. Coming within a fraction of a pound (.01% of her body weight) of winning the entire competition and taking home the $250,000 prize, hers was the closest margin of loss in Biggest Loser history. Prior to her Biggest Loser journey, Jones was a former semi-professional athlete (two-time Collegiate All-American in fastpitch softball) who earned a degree in Physical Education from Greenville University (in Greenville, Illinois-where she was inducted into the Athletic Hall of Fame in 2018). 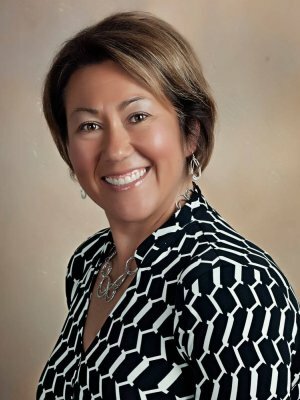 After earning graduate degrees in Educational Leadership and Administration from the University of Illinois at Springfield, she spent nearly two decades in education before taking her current position as an Outreach Representative for HSHS Medical Group in central Illinois. Sonya's journey on The Biggest Loser sparked in her a desire to "pay it forward" - which now has her inspiring thousands of people all over the country through her master storytelling, sense of humor, and ability to connect with any audience. A certified (and widely-sought) speaker with the John Maxwell Team, she will show you how you can find worth in your life and joy in your journey. Her unique communication style will have you crying tears of laughter and joy while tugging at your heartstrings as she empowers you to fall in love with your life and yourself. This former coach is now fully dedicated to helping you achieve more than you ever thought possible as she equips you for success in becoming the best possible version of yourself! Having appeared in TV Guide and been featured on the cover of US Weekly, Jones recently authored a best-selling book. 44 Lessons from a Loser: Navigating Life with Laughter, Prayer, and the Occasional Throat Punch will teach you some of the "life lessons" she learned both on and off her time on TV-and is guaranteed to elicit laughter, tears, and an overwhelming sense of gratitude that her hysterical misadventures didn't happen to you! Life is hard-for everyone! The good news is that brokenness can often lead to your greatest strength! Join the star of NBC's Reality TV show The Biggest Loser, Sonya Jones, as she uses the story of a devastating childhood injury to inspire you to overcome adversity in your own life. Sonya Jones' most requested presentation will motivate and inspire you to take the best possible care of yourself in order to accomplish all that you really want in life. Jones shares her experiences as a contestant on NBC's Reality TV Show, The Biggest Loser, as a tangible way of encouraging you to become the most effective version of yourself possible. You won't want to miss this powerful presentation-which has been a true "game changer" in the lives of thousands! When you jump off a boat and into the ocean, you don't just get a little wet-you get SOAKED! Every inch of you is immersed in the water when you go ALL-in! This presentation will encourage you to stop skimming the surface of your life and relationships and instead go ALL-in, proceeding with reckless abandon in every area of your life! As Jones likes to say: "If you're gonna be a bear, be a grizzly" -as you go "ALL-in" to become the best possible version of yourself! You have within you the power to be an agent of change who will impact the world by making a real difference in the lives of those around you! So what's holding you back? What fears do you need to set aside? What keeps you from believing that you have what it takes to make a difference? This powerful presentation will help you peel back the layers of whatever is keeping YOU from becoming a real "game changer" in the lives of others! As a contestant on NBC's Reality TV Show, The Biggest Loser, Sonya Jones thought that she just had a little problem with food. Turns out she was battling a condition called Binge Eating Disorder. Join Jones as she transparently peels back the layers in her own life and experience to help you recognize that you TOO have the power to overcome this debilitating disorder causing you untold stress, anxiety, and embarrassment. After a real (and raw) look at a topic that's all-too-seldom addressed, you'll leave both inspired and empowered . . . to overcome! Isn't It Amazing What Our Bodies Can Do? Before becoming a contestant on NBC's Reality TV Show, The Biggest Loser, Sonya Jones was a 5'4", 283-pound woman in a world of hurt! Pre-diabetic, she suffered from high cholesterol, high blood pressure, diverticulosis, severe sleep apnea, and arthritis in her joints and lower back. Within one month of beginning to lose weight on the show, Jones was off all medication and on her way to true health. Join her as she shares inside secrets-not just from her time on the show, but to maintaining her weight loss ever since. They say it's not whether you win or lose, but how you play the game, right? Well, Sonya Jones learned that lesson in a powerful (and painfully public) way-standing on stage in front of 5 million people as a finalist on NBC's Reality TV Show, The Biggest Loser. Thankfully, she's been able to use her loss of a $250,000 prize to demonstrate the importance of "losing" with grace, mercy, and personal integrity. The truth is-sometimes you're the bug and sometimes you're the windshield. Jones is preparing future generations to be overcomers (who will make some fine lemonade when life hands them lemons)! ​As a former teacher, coach, and administrator-Sonya Jones understands that, if no one is following you, then you're not a real leader . . . you're just out for a walk! She'll help you learn how to create a positive atmosphere among your staff, fostering a sense of ownership and buy-in that will build a unified team that can work together cohesively and effectively. Life's too short to waste time in a miserable work place, so let Jones show you how to turn things around TODAY! How often have you heard it said that the enemy of BEST is good? Sonya Jones will help you learn to distinguish between good and BEST-in your job, personal relationships, and everyday life! Let her challenge you both to determine and to pursue what is in your long-term best interest! We all have moments that can make or break us! As a coach, Sonya Jones had a ringside seat to watch athletes both flop and soar. She'll share several exciting stories of victory and defeat that will encourage and inspire your athletes to leave it all on the field and make it across the finish line! On NBC's Reality TV Show, The Biggest Loser, Sonya Jones confessed to the entire world that she was a real-life "40-year-old virgin!" An abstinence instructor for many years, Jones encourages students not to sacrifice their future by indulging temporary pleasures in the present. This presentation has encouraged many students to lead a life of abstinence until marriage as a way of pursuing the safest, healthiest and, ultimately, happiest way of life. What the Enemy means for bad, God can turn into beauty! Don't let the pain of your past keep you from all that God has planned for your present and future! This powerful talk, which has positively impacted and transformed countless lives for the Kingdom, will encourage you to let God transform your greatest hurts into a truly "beautiful thing"! Sonya Jones' most requested presentation will motivate and inspire you to take the best possible care of yourself in order to accomplish all that God has planned for your life. Jones shares her experiences as a contestant on NBC's Reality TV Show, The Biggest Loser, as a tangible way of encouraging you to become the most effective version of yourself possible. You won't want to miss this powerful presentation-which has been a true "game changer" in the lives of thousands! Ladies, are you looking for a "Girls' Night Out" speaker who can both entertain you and help you put things in perspective? With the many roles and responsibilities you struggle to juggle, sometimes you just need a break! This session will remind you of why you do what you do-and how to not only survive, but thrive while doing it! If you want a chance to laugh, cry, snort, hug, and love on your girlfriends-then this is the perfect session for you! So many women struggle with who they are as they play the inevitable "Comparison Game"! Join Sonya Jones as she shares her journey to believing that God meant it when He said in His Word that she is "fearfully and wonderfully made!" At 283 pounds, that was hard for her to see-but now, she's eager to have you join her on an emotional journey to understanding that you don't have to "pretty up" for God to love you! His love is unconditional and all-encompassing already; all you need do is receive it! By the time this session is over, you may finally begin to see yourself the way God always has!